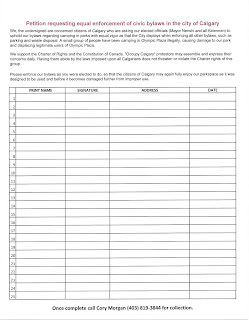 You can now also print the petition to collect "in person" signatures. Click on image to open in new screen, then print from there. 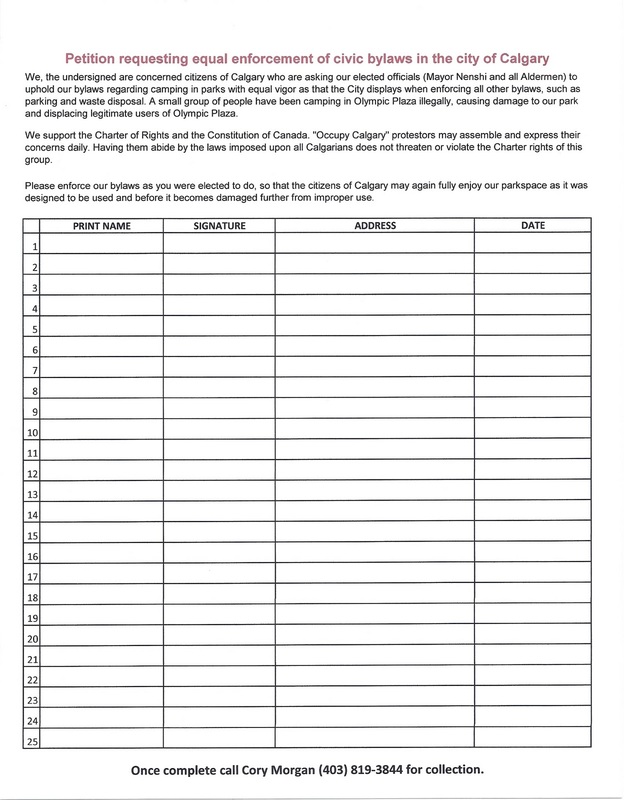 As the Occupy Calgary has continued, with no clear message and blatant disregard to our local by-laws; my husband and I have become more vocal. Cory has blogged about it in several posts on his blog. He also started a petition to encourage our Mayor and Aldermen to do the right thing and uphold our bylaws. This has been covered by our local media. Today he was interviewed by QR77. You can hear it here. Select November 1 st. then 5:00 PM Press "Listen"
Click the little black arrow to open up bar, from there you can move the grey slider to about the 17 minute mark where the discussion starts. There is also an article in the Calgary Herald.